1. Have a drawer for each person who uses the bathroom to store his or her toiletries and cosmetics. If you don’t have the space to store items in the bathroom, give each person a basket to transport their things to the bathroom from his or her bedroom, where the basket is stored. 2. 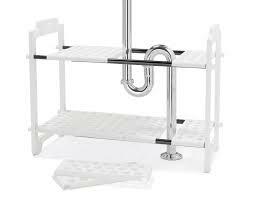 Purchase under-sink storage shelves or baskets to make good use of this under-utilized area. 3. If medications are stored in the bathroom, safely store them where small children can’t gain access. 4. Store cleaning supplies safely nearby so you can do bathroom quick cleans ups but out of the reach of children. 5. 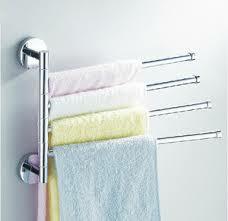 Add hooks or towel bars to the walls or over-the-door racks/hooks to hang and dry towels after use. Not enough room in the bathroom? Install hooks or bars in the bedrooms. This will keep towels off the floor, neat and clean. I feel the light fixture in a space is so important. A fixture can truly make or break a room, and typically I live by the motto GO big, or GO home! I enjoy a very light room also. Usually in most rooms I suggest that a vary of lightning be available so the light in a room can be adjusted as needed. Overhead lighting, movable lighting(lamp), counter or table top lighting that can be repositioned as needed. Really looking for these great organizing ideas. Wow, I am now ready to do my business. You don’t believe that I just remove one pressure from my head. WOW, This is really great bathroom organizing tip. Your tip is very helpful for the people Thank you for share a such helpful tip. I am glad I could give you some inspiration. Let me know if there are any other topics of interest to you. Firstly, thank you so much for all these bathroom organization tips. I read your whole tips. It’s really useful. They come in handy now and I have to organize my new bathroom. Schedule a day and time so you get it done. Leaving it for “someday” means it might not get done. If you run into a dilemma just post your questions on the blog. These are very helpful and excellent bathroom organizing tips. Thanks for sharing such a nice bathroom outline and remodeling thoughts in a restricted budget.